Need a banner for an event, trade, show or jobsite? We can get the highest resolution printed banners available in your hands FAST! Give us a call about you next project and experience our hands-on customer service and superior graphic design skills. 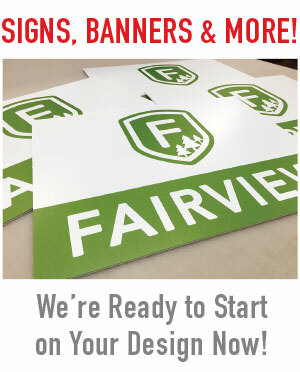 OUTDOOR SIGNS AND BANNERS are available for a wide variety of applications. 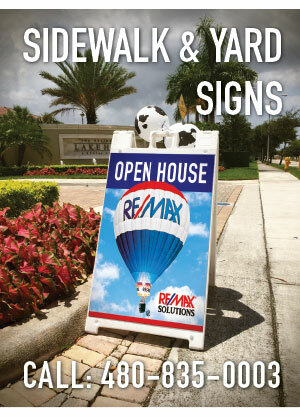 Some of the most common are real-estate signs, yard signs and stakes, cut vinyl signs and lettering for store fronts and vinyl banners with grommets for hanging. Tower Media Group produces these products at our Mesa, AZ design/print facility near Baseline and Higley Roads just off the US60. INDOOR SIGNS AND DISPLAYS for home or office decor, retail display, info-graphics, trade show display and table or counter-top advertising. Indoor graphics are usually higher in print-resolution and quality, but do not have the UV protective coatings or over-lamination to protect them form sunlight. VEHICLE GRAPHICS are come in all shapes and sizes as well. We can help you with any and all of your sings, banners, display and vehicle treatments.